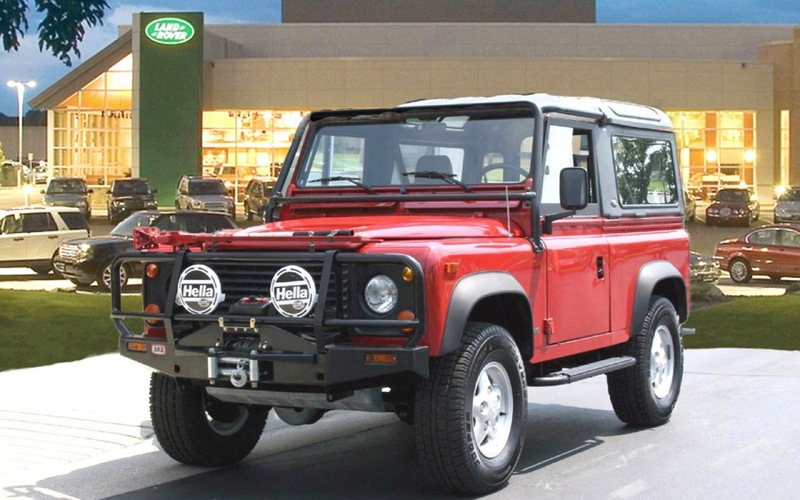 This 1995 AWD Land Rover Defender 90 soft top is a gorgeous monza red over slate gray. It is a rare automatic transmission vehicle with factory A-C and a full canvas top with optional bimini top. The factory grill guard has its original “off road” lights. Last year for us production and is all original Land Rover.